The Adult Education department began a new pilot program called Employment Academy. This week long class is designed to help students from the adult education program get jobs. PCD teacher Laura Harrison gives instruction from the key elements of the Personal and Career Development curriculum. 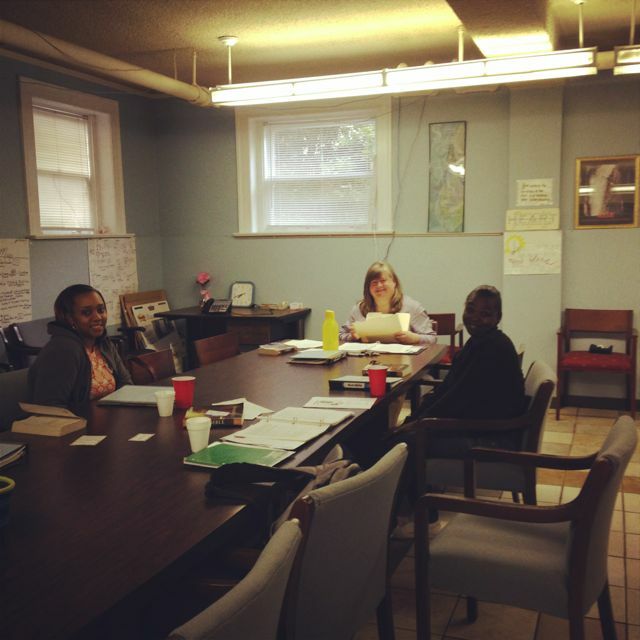 Once these students have completed the classroom portion, they will need to meet other requirements, such as drug testing, resume writing, and mock interviews, in order to access HopeWorks’ job assistance program. We are excited about this new opportunity to give hope and a job. Most men and women in generational poverty have had little experience, or trust, in banks or savings institutions. Surviving day to day takes priority over saving money, especially if you haven’t had a regular job. 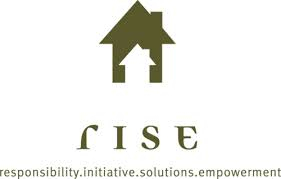 The Rise Foundation specializes in changing this mindset, once a person gets a steady job. This change is re-enforced by a program titled “Save Up” which provides an additional $2 for each $1 saved. If a person will commit to savings each month, then the foundation will provide this additional incentive. Last week thirty (30) HopeWorks graduates, who are now employed, signed up to take advantage of this program at the monthly alumni meeting. Baby steps, but important ones, for new graduates. The spring graduation ceremony was a wonderful evening with family and friends. The Personal and Career Development class graduated 30 students, and 16 graduated from the Adult Education program with their high school equivalency diplomas. The exciting news was 17 students from the PCD class graduated with jobs. Many are working part-time while continuing to look for full-time employment. Many of the students in the Adult Education program work while going to school. We are proud of these graduates, their hard work, and accomplishments.